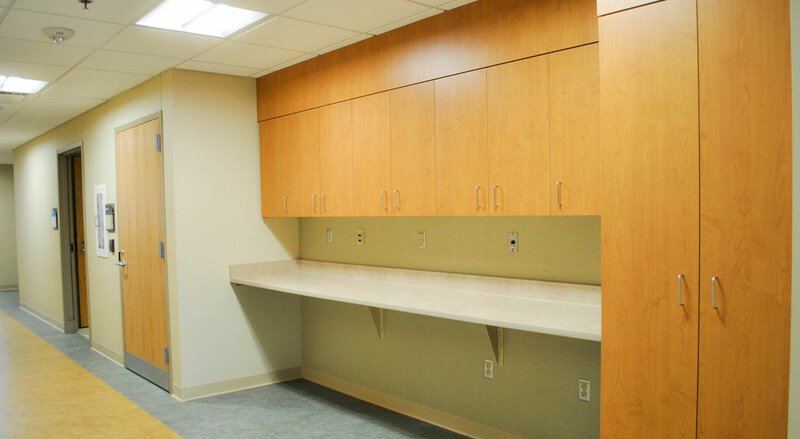 The 2E Eye Clinic project was a complete gut and renovation of approximately 13,000 SF. 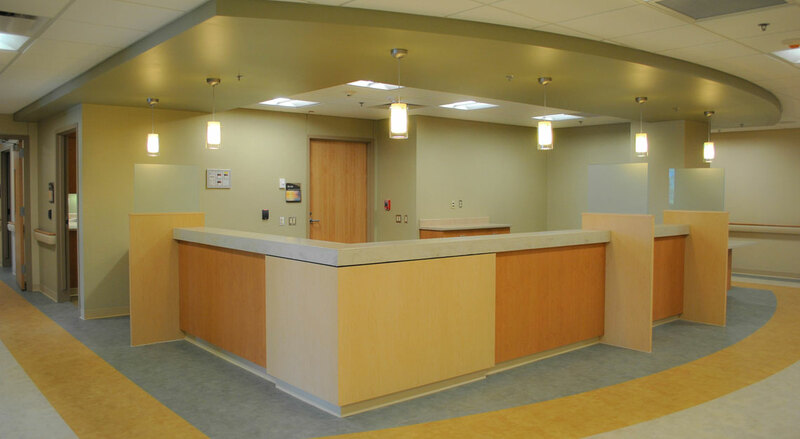 We constructed 33 new eye lanes for eye examinations and more than doubled the current number of eye lanes the VA had previously. 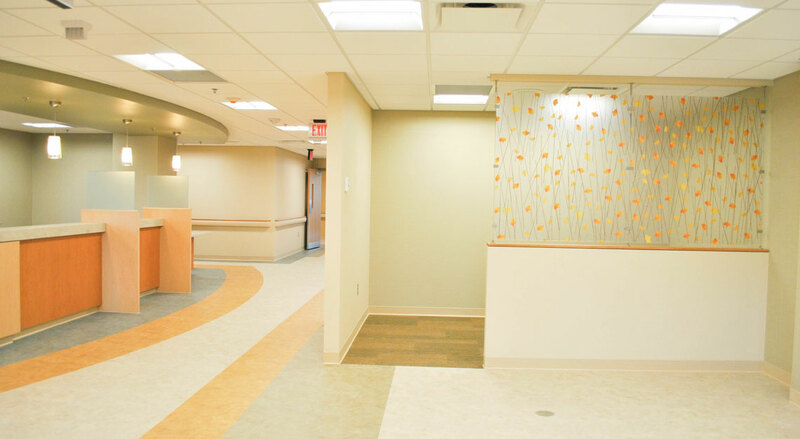 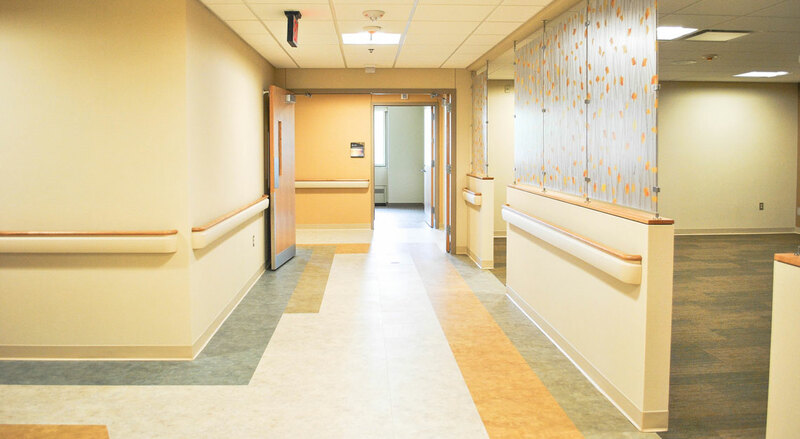 The project included a new procedure room, two laser rooms, a multipurpose education space, photography and retinal imaging rooms, new waiting areas, new nurses stations, a new reception desk and a new optical retail space. 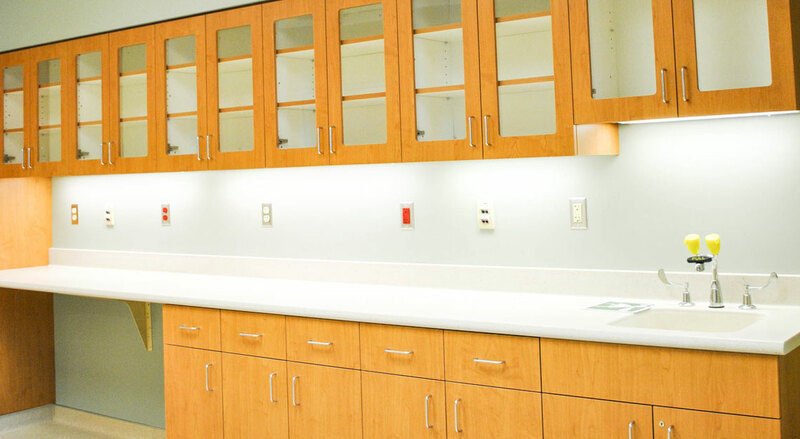 This project also included all new mechanical and electrical systems and all new finishes. 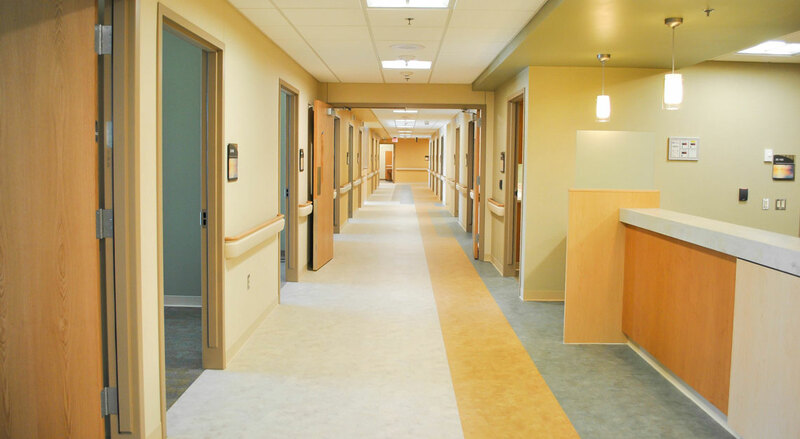 Some of the new finishes included resilient sheet flooring, millwork, vinyl wall covering and 3Form.